"The book is full of goodwill suggestions and valuable experiences but it shows the present gap existing between goodwill and the real world, and that there is no quick answer to match all the challenges and threats that CPP in armed conflicts must face in the next few years." Ignacio Rodriguez Temino, Archaeologica Publica 4 (2014), pp. 413-146. The protection of cultural property during times of armed conflict and social unrest has been an on-going challenge for military forces throughout the world even after the ratification and implementation of the 1954 Hague Convention and its two Protocols by participating nations. 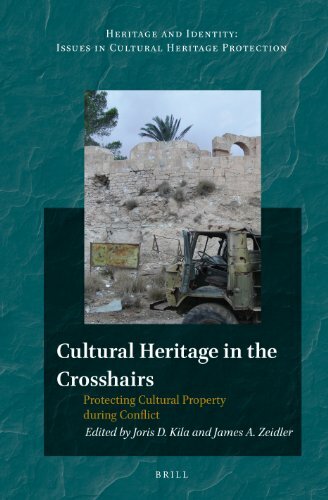 This volume provides a series of case studies and "lessons learned" to assess the current status of Cultural Property Protection (CPP) and the military, and use that information to rethink the way forward. The contributors are all recognized experts in the field of military CPP or cultural heritage and conflict, and all are actively engaged in developing national and international solutions for the protection and conservation of these non-renewable resources and the intangible cultural values that they represent.